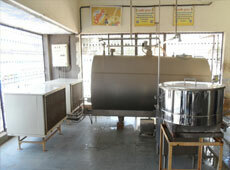 Milk society at rural level is the centre of milk cooperative centre of our rural area. 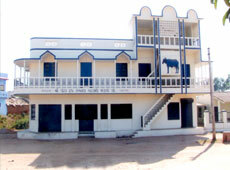 “Milk House” is an essential part for the routine work, care of property & to adopt new technology for the milk society. Dudhsagar provides assistance as per our norms to strengthen this programme & Milk society can make its own advanced Milk House with all facility. Dudhsagar Dairy has availed 25% subsidy to village societies with the help of National Cooperative Development Corporation. Milk Collection centre’s of the village co-operative societies are painted with common color to provide new identity to them. A subsidy to the extent of 50% is provided by the union in the total expenditure incurred in painting the collection centers. Till date 245 societies have avail this benefit.